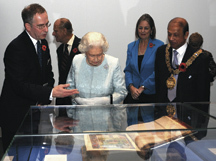 The Queen was on hand to open Royal Manuscripts: The Genius of Illumination exhibition at the British Library. On display are 154 manuscripts collected by British Royals over a period spanning 800 years. Her Majesty was particularly taken by a psalter annotated by Henry VIII, according to the UK Press Association release that is printed below. The Royal Manuscripts are on exhibit through the middle of March 2012. You can learn more about this exciting collection by tuning in to the BBC Four series Illuminations: The Private Lives of Medieval Kings. In the tradition of a celebratory beverage, the Library has teamed up with the Gilbert Scott restaurant to provide guests the opportunity to drink to their health with an “Illuminated Cocktail.” Oliver Blackburn, bar manager, has created this very special drink with rum, ginger, pear, juniper, and finished with gold dust. Cheers! Scot McKendrick, BL Head of History and Classical Studies; The Duke of Edinburgh, The Queen, Baroness Blackstone, The Lord Mayor of Camden. The Queen had a glimpse into the past lives of her medieval counterparts at the launch of The Royal Manuscripts. The exhibition, which opened last November, contains a number of manuals on how the royals should conduct themselves. The Queen and the Duke of Edinburgh had a private viewing of five manuscripts on display, including monarchs’ prayer books; a charter commemorating the start of monastic rule of St Benedict in 964; and books made for King Edward IV. Copyright © 2011 The Press Association. In June 2011 the British Library announced a significant partnership with Google. Google’s interest is to add as much new material to Google Book Search as possible, a mission which dovetails with the BL’s goal of digitizing as much of its collection as possible. Some 250,000 books, totalling around 40 million pages, will be digitized. This represents a small but significant part of BL’s historic printed books collection. The actual digitization is scheduled to begin in the autumn of 2012, and the project is expected to last four years. By working with Google, the Library will benefit from their enormous presence and experience in the digital universe. Additionally, Google will bear the estimated £6 million costs of digitizing the material. In undertaking this project, the BL furthers the aspirations of its nineteenth-century predecessors, so eloquently put forth by Antonio Panizzi, an Italian refugee who became head of the BL: “I want a poor student to have the same means of indulging his learned curiosity, of following his rational pursuits, of consulting the same authorities, of fathoming the most intricate inquiry as the richest man in the kingdom, as far as books go.” The BL is now using the latest digital technology to continue the mission for a new generation in the 21st century. The Library has selected a range of materials dating from 1700 to 1870, for digitization. All selections will be out of copyright, and will be offered free at the point of use through both Google Book Search and the BL’s website. Because there already is so much English language material available on Google Book Search, the BL anticipates that a high proportion of the material will be in languages other than English. One of the early candidates will be its collection of works produced during the French Revolution. But there will also be Anglophone books. One example is An address to the people, on the present relative situations of England and France, written in 1799 by Robert Fellowes. This work comments from a decidedly non-revolutionary position on political reform in both England and France. The Google partnership is a landmark in the BL’s digitization program. Wherever they are, researchers, students and other Library users, will be able to read these historical items with the freedom to share and re-purpose material for non-commercial use. This flexibility is going to be particularly important in exploring new types of research questions and computer-assisted methods. This partnership is an important chapter in the efforts to achieve the BL’s 2020 vision. Adapted from an article by Kristian Jensen, Head of Arts and Humanities at the British Library. 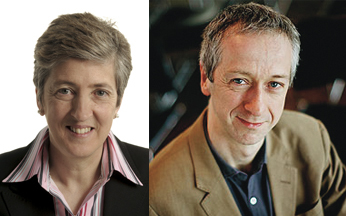 The American Trust had allocated $66,000 from its total grant giving for 2009 for the British Library’s upcoming fall exhibition entitled, “Evolving English: One Language, Many Voices. It will be the first ever exhibition exploring the English language in all its national and international diversity. Iconic items and recordings will explore how English is spoken in the UK, from rural dialects to urban youth-speak, and celebrate English as it is spoken by 1.8 billion people around the world. The BL’s collection items will be set alongside engaging everyday texts to show the many social, cultural and historical strands from which the language is woven. Thus, treasures such as Beowulf, Shakespeare Folios, the King James Bible, Johnson’s Dictionary, Austen manuscripts, Scott’s diary and recorded speeches by Pankhurst, Churchill and Gandhi will be exhibited together with handwritten letters, recipes, posters, lists of slang, trading records, adverts, children’s books, dialect recordings, text messages and web pages. The interactive and media rich exhibition will emphasize how, from the very beginning, English has been shaped by the different cultures and languages with which it came into contact. It will demonstrate that the English language is by no means purely ‘English’– it is in fact a ‘mongrel’ tongue, mixed from centuries of influence from across the world, show the growth of English to the dominant world tongue, and show us where the language is now, where it has been, and – perhaps most important of all – where it is heading, for the new varieties of the language appearing in world literature and on the Internet show that this is a story which is by no means over. 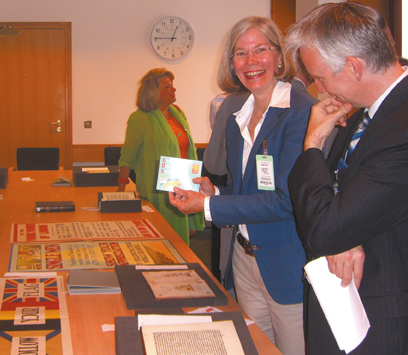 Three curators of the BL gave ATBL a preview of the exhibit divided into English Comes of Ages, Everyday English, English around the World, Setting the Standard, English at Work, English at Play; and English around Britain and Ireland. They saw rare and wonderful examples of what they BL will present: an 11th century Anglo-Saxon Chronicle Manuscript, a handbook for Hobos, a 1612 map of Virginia, a Pidgin English kuk buk (cook book), the 1525 William Tyndale New Testament, British government posters from the First World War, a 1490 Eneydos (Aeneid), The Song of Solomon in various dialects of the Northern Britain, and Charles Dickens The Pickwick Papers. The Library is planning this major exhibition running for four-months at the Library October 2010-March 2011. They expect to attract 120,000 visitors. The 2009 grants are targeted at completing the cataloging of the BL’s magnificent Hebrew Manuscripts collection; and to aid in the purchase of the journal and charts of the 17th-century English naval explorer, Sir John Narbrough. Some $66,000 of the total has been allocated for a yet unspecified purpose at the BL. These monies had been originally assigned to help defray the costs of mounting some seventy items from the BL on loan to the New York Public library for its scheduled exhibition, Sacred, due to open in New York next October. Sacred, a compilation of important holdy books representing the three Abrahamic faiths, had been produced successfully in 2007 by the British Library in Lobdonb where it broke all attendance records. A portion of it was scheudled to travel to the NYPL for the Sacred exhibition here. In mid-December the BL regretfully had to cancel its participation in the NYPL show, it said, for security reasons. Hebrew Manuscripts ($12,125) has been an ongoing project to catalog and digitize one thousand images from part of one of the world’s finest collections, namely, the more than 100 medieval Hebrew manuscripts, most of them illuminated in Europe. 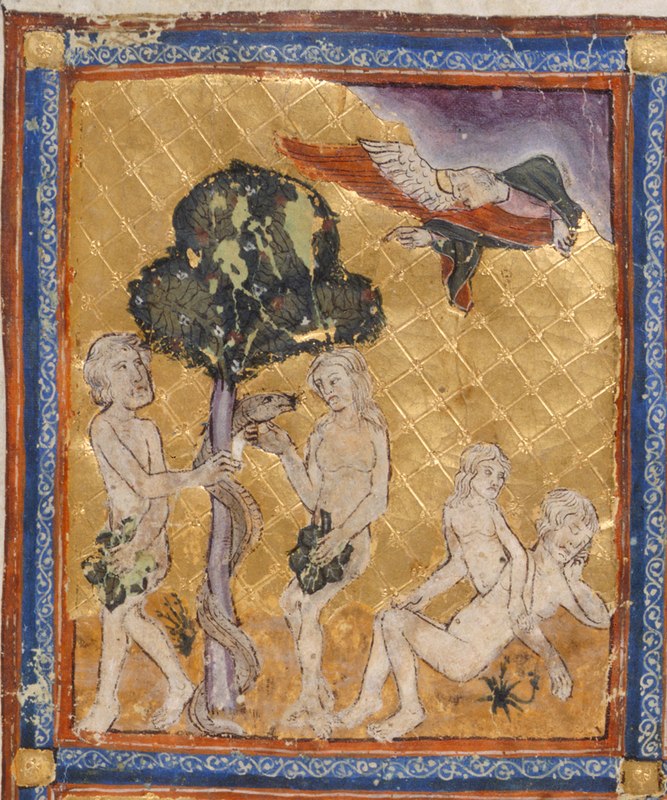 At present there is limited online access to these treasures of Hebrew manuscript art which include the Golden Haggadah, the Barcelona Haggadah and the peerless Lisbon Bible. The project’s completion will add these treasures to the Library’s Digital Catalog of Illuminated Manuscripts. The ATBL’s grant of more than $12,000, raised at a dinner in New York City last April to pay tribute to the late William Golden, has helped complete the project. Mr. Golden had been a longtime benefactor of the Library’s collection of Judaica. Narbrough Autograph Journal and Charts ($30,000). The acquisition of this unpublished material detailing John Narbrough’s three-year voyage in 1669-71 to South America enables researchers to evaluate more thoroughly the explorer’s role in assessing for his country the commercial potential of South America. Narbrough’s passage through the Straits of Magellan, in both directions, demonstrated for the first time the viability of English trade in the Pacific. That in turn would dictate the course of English foreign policy for the next half-century. 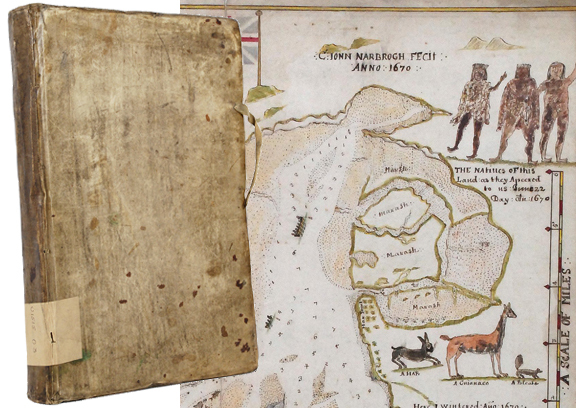 Through these documents — which include colored charts along with illustrations of the natives and wildlife of Patagonia and Chile — Narbrough may be perceived as a crucial figure in the history of English exploration, standing midway between Sir Francis Drake and Captain Cook. The ATBL’s grant was made possible by funds from the Bernard Breslauer Bequest. The fourth-century Bible, Codex Sinaiticus, whose ‘reunification’ project received early support from the ATBL in 2004, is increasingly a focus of media attention. The latest illustrated article on what has now become a “digital scripture”, available worldwide on the internet, appeared in the December 2009 issue of National Geographic magazine. 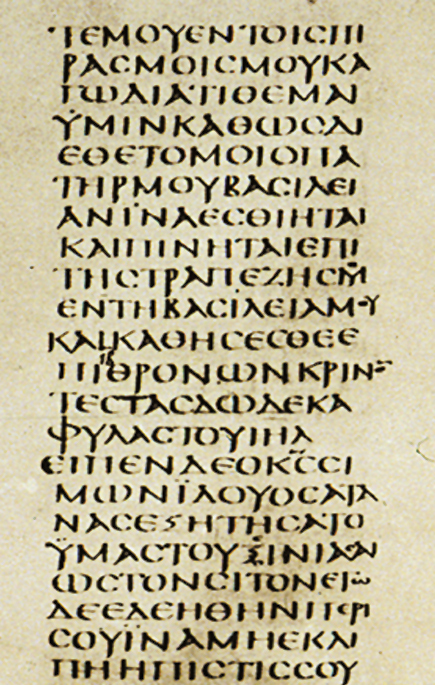 Codex Sinaiticus, handwritten on parchment in ancient Greek between the 1st and 4th centuries, resided at St. Catherine’s Monastery in the Sinai. In the mid-1800s scholars from several countries removed sections of its fragile text for safekeeping. The divided Codex, which includes the earliest known complete copy of the New Testament, inspired a campaign four years ago to reunite what remains of the sacred text at the monastery with existing parts in Germany, Russia and the British Library. The American Trust made a $16,000 grant to support the early development phase of the campaign. The now reunited Codex has become a virtual archive, each page appearing in high definition along with a catalogue of details. The successful digitization effort has resulted in a new 21st century address for the world’s oldest Bible: codexsinaiticus.org. The program of British Library Sound Archive internships is now in the middle of its inaugural year. The American Trust for the British Library has provided a bursary for Nkwenkwezi Languza who is completing a five-month internship. Nkwenkwezi heads the Sound Preservation at the National Film, Video and Sound Archives in South Africa. He is responsible among others for ensuring the preservation and promotion of the sound collection, which includes indigenous music and oral history. 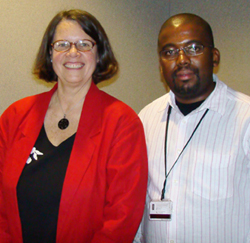 Will Prentice, one of the British Library Sound Archive’s Audio Engineers, is supervising Nkwenkwezi’s training. As well as developing his knowledge of the preservation of coarse groove discs, cassette tapes and digital media, Nkwenkwezi will also be creating some recordings to take back to his own archive. These recordings will be oral history interviews of South African performing artists who were members of the much-acclaimed Ipi Ntombi that toured Europe and other parts of the world in the 1970’s. The interviews will be based on their experiences as performers in exile. ATBL will support a second Sound Archive internship in 2008-2009. These internships at the BL are supported through the contributions from the general membership of the ATBL.